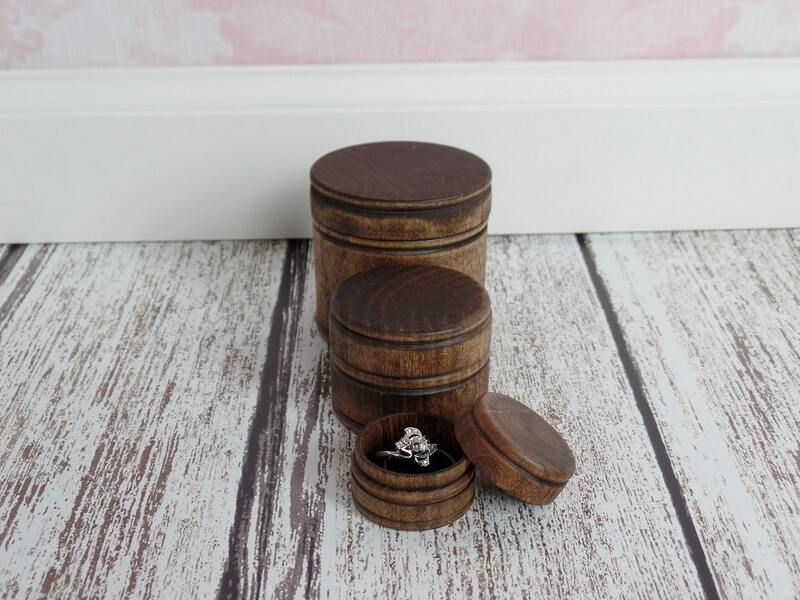 *PLEASE* note this listing is for (1) Small ring box NOT a set of 3 ring boxes. 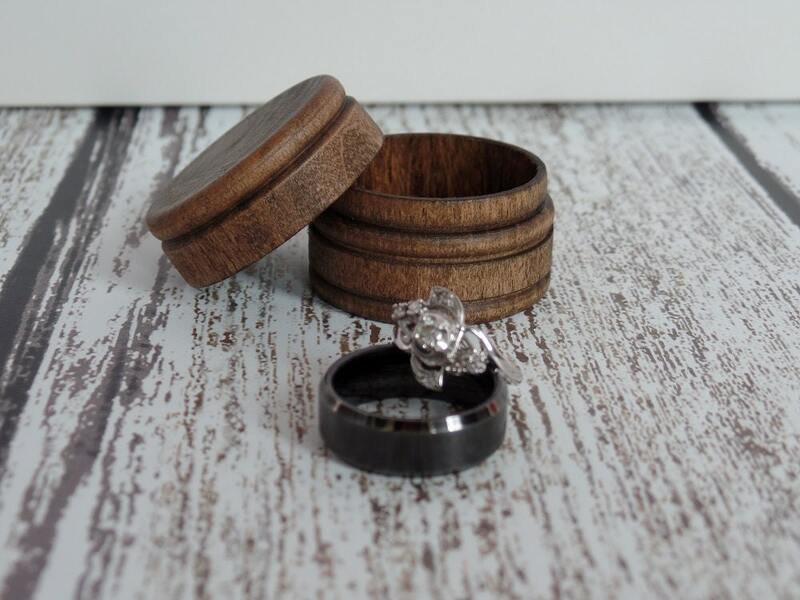 The lid on this ring box is NOT tight fitting. 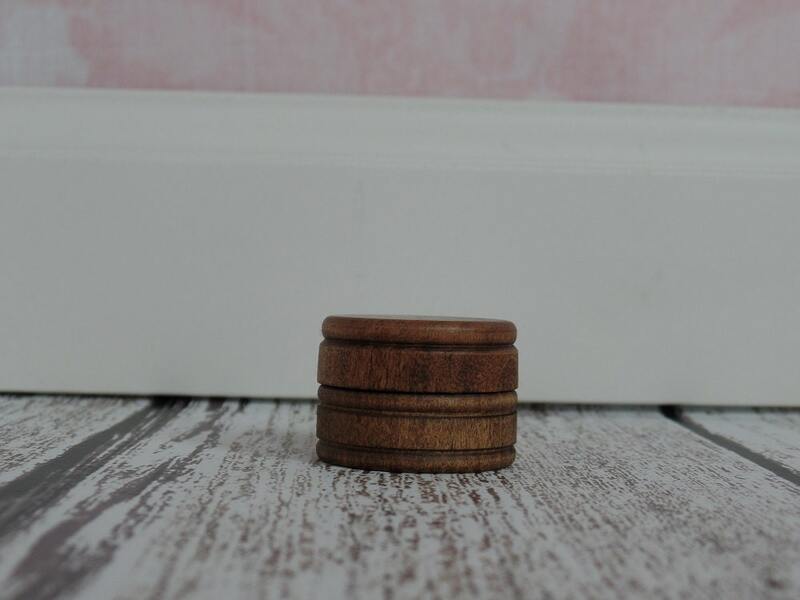 This listing is for (1) small size round wood ring box. 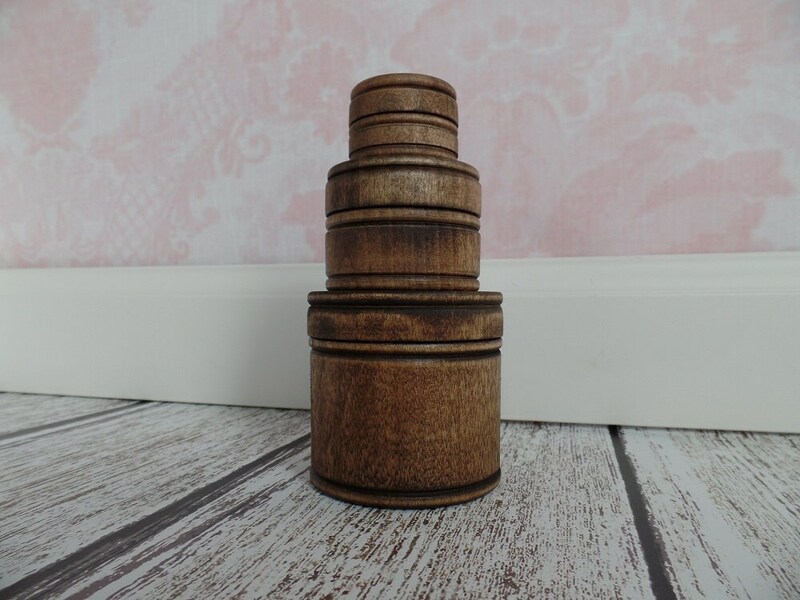 Featuring a dark walnut finish.. Beautifully made! The top doesn't stay on amazingly well, but it does the job. It stays on as well as expected for not having hinges or any sort of closure device. 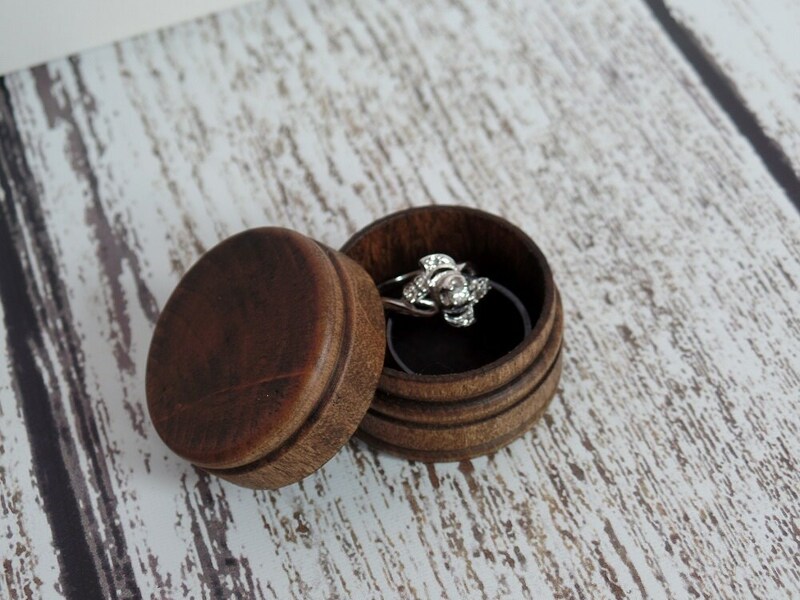 I really like this ring box! I know my fiancé will too! This box looked exactly like the image. The only down fall is it's really for staying on the counter or tight in a pocket. The lid doesn't close tightly at all (of course because it's all wooden). I fixed this by placing a tiny clear rubber hair tie around the base of the box lip and the lid sits securely in a pocket without the lid wiggling around.